Once more, the Japan Foundation has upped the ante in terms of the number of titles and venues, with 16 films going to 18 cinemas from Exeter to Inverness, including several new hosts such as Colchester, Kendal and Lewes this time round, alongside the traditional pit-stops of Bristol, Belfast, Edinburgh, and Manchester. Chances are you won’t have too far to travel to catch these rare airings of what’s current in the world of Japanese cinema. Regrettably not all of the 16 titles will be going to all of the venues (several cinemas are only taking about half a dozen films), but if you want to catch the full programme, there’s always the season’s traditional launch-pad of the ICA in London, where the tour will be kicking off on Friday 2nd February with the crime drama Gukoroku: Traces of Sin (2016). Adapted from a novel by Tokuro Nukui, Kei Ishikawa’s debut feature is a murder mystery that dares to dig beneath the inscrutable facade of manners, mores and social performances of the elite classes and gaze into the dark heart of self-entitled privilege. Produced by Office Kitano, it premiered at Venice film festival in September 2016, and looks the perfect title to set the season’s tone of guile and deception. In a similar vein, we have Kazuya Shiraishi’s Birds Without Names (2017), a “visceral tale of lust and redemption following twisted and loveless relationships” starring Yu Aoi of the Hana and Alice and Rurouni Kenshin films. There’s also Saiji Yakumo’s The Dark Maidens (2017), an intriguing whodunnit scripted by prolific anime screenwriter Mari Okada set in an exclusive high school for daughters of the prosperous and the powerful, and Shinji Azuma’s brooding and picturesque Where I Belong (2016), in which a craven, petty criminal on the run is taken into an injured elderly woman’s home in a tiny village in mountainous Miyazaki prefecture. The Japan Foundation programme has really triumphed recently in providing a window for UK audiences to experience the kind of films that we don’t usually associate with Japan, films overlooked by the festival circuit and by more traditional channels of distribution, of which contemporary mystery and crime dramas are a prime example. The season also showcases another recent phenomenon that has gone relatively uncommented upon in discussions of Japanese cinema, which is that of the increasing number of regional remakes across Asia. We have a couple of examples in the programme, notably Memoirs of a Murderer, starring Tatsuya Fujiwara of Battle Royale as a serial killer who, while a legal loophole sees him remaining effectively at large, capitalises on his infamy as the “Tokyo Strangler” through the publication of his confessional memoirs. It is a remake of the 2012 Korean thriller Confession of Murder, directed by Jung Byung-Gil, which in turn was based on the real-life homicide case that inspired the Bong Joon-ho classic Memories of Murder (2003). It will be interesting to see how director Yu Irie, who cut his teeth on such affable indie hits as his portrait of beatboxing no-hopers in the boondocks, Saitama Rapper (2009), handles this move into darker commercial thriller territory. Presenting a lighter look at the diminishing relevance of Hollywood to the Asian market in an era of increasingly interlocking regional cultural exchange is Sing My Life (2016), directed by Nobuo Mizuta, another remake of a Korean film, this time Hwang Dong-hyuk’s 2014 hit comedy Miss Granny. To date, the original has also been remade in China, Vietnam, Thailand and Indonesia, with a Philippine version pending and plans for a couple of others announced. The universal appeal is obvious, with the film following in the long line of body-swap comedies such as Freaky Friday (1976), Big (1988) and 17 Again (2009) in its tale of a 73-year-old who mysteriously finds herself back in the body of her 20-year-old self and embarking on a career as a pop singer. Another trend worth mentioning follows on from the recent Japan Foundation and National Film and Television School-supported “Archipelago: Exploring the Landscape of Contemporary Japanese Women Filmmakers” mini-retrospective in London. Two of the featured titles in the programme are directed by women. The Long Excuse (2016) is the most recent work by Miwa Nishikawa, one of the leading names in the new generation of female filmmakers that emerged at the turn of the millennium whose debut 2003 Wild Berries was one of the featured titles of ‘Archipelago’ while her 2005 film Sway played as part of the ‘Move Over Ozu’ Japan Foundation tour back in 2007. Interestingly, Nishikawa has admittedly she prefers focussing on flawed male protagonists, in case any female characters she might create reveal too many of her own personal defects in them, and this latest seems to prove the point. Adapted from the director’s own novel, it stars Masahiro Motoki (The Bird People of China, Departures) as a cold-hearted and self-absorbed novelist of some fame who is forced into insincere displays of public grieving when the wife whom he is cheating on suddenly dies in an accident. It is a female character, nevertheless, who leads the drama of Atsuko Hirayanagi’s Oh Lucy! (2017), which features award-winning actress Shinobu Terajima (It’s Only Talk, Caterpillar) as the downtrodden and self-loathing 55-year-old office drone who discovers a new lease of life in the form Josh Harnett’s unconventional teacher at a rundown English language school, an encounter which prompts her to look to the wider world beyond her immediate environment. Many of the films in the programme are by fledgling filmmakers and names less familiar to overseas viewers, and the programme should most certainly be commended for its non-auteurist focus. Nevertheless, with Blade of the Immortal, the “100th film” of Takashi Miike now on general release, the Japan Foundation does find time to shoehorn in a lesser-known title by the country’s most prominent director, the manga-adaptation Mole Song: Undercover Agent Reiji (2013), about a renegade ex-cop who takes on the yakuza. Another stalwart of Japan’s commercial scene showcased in the programme is Yukihiko Tsutsumi, a director not quite as prolific as Miike, although not far off, but certainly a less familiar name outside of Japan: you might well have seen his anarchic comic-book tale of cat-fighting female flat-sharers 2DLK (2002), which got a US DVD release some time back. 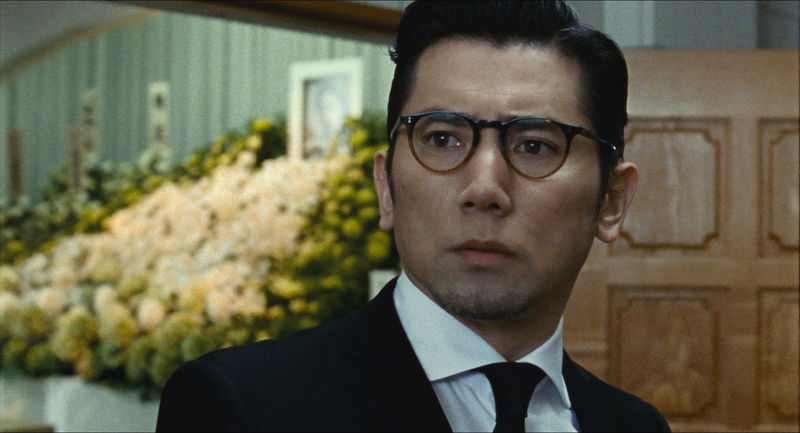 Otherwise, he is best known internationally for the three live-action films released 2008-2009 based on the manga series 20th Century Boys. Initiation Game, the Tsutsumi film included in the ‘(Un)true Colours’ line-up, was one of his three features released in 2015 and amply demonstrates his lively and inventive approach to his craft, using the concept of the A and B-sides of a music cassette to frame its nostalgic late-1980s tale of boy meets girl. Over the years, the annual touring season has provided a strong platform for older works by key directors who are highly regarded in Japan but lesser known in the UK, and this time it is the turn of Yuzo Kawashima, whose period-comedy A Sun-Tribe Myth from the Bakumatsu Era (1957) is considered a classic in Japan, but until Eureka snuck out a DVD of it about five years ago, was virtually unknown overseas. While I screened his marvellous prostitution melodrama Suzaki Paradise: Red Signal (1956) as part of my Seasons in the Sun: The Heyday of Nikkatsu Studios season at the BFI in 2013, Kawashima has remained remarkably off-radar in terms of international critical acclaim, so the Japan Foundation’s inclusion of Room for Let (1957) represents by far the most exciting prospect of the programme. It is an ensemble piece based around the comings and goings of a host of eccentric larger-than-life types lodging in an old mansion overlooking Osaka, and promises the same mix of irreverent social satire and bawdy comedy that forged the reputation in Japan of this director who, in the West, has been unfairly viewed as little more than a footnote in world cinema history due to his instructive role mentoring Shohei Imamura. Despite the expanded size of this year’s programme, the scope seems to have narrowed slightly so that, for example, there are no documentaries and just one period film, Yoshihiro Nakamura’ ninja drama MUMON: The Land of Stealth (2017). Nevertheless, though the focus seems to be primarily oriented towards brooding mystery and crime thrillers, there are a number of wild cards, notably Kenji Uchida’s After School (2008), a wonderful work that is just as playful and intricately-plotted as his stunning 2004 debut A Stranger of Mine, and Daigo Matsui’s Japanese Girls Never Die (2016), an energetic multi-threaded, non-linear trawl through contemporary Japanese pop culture. 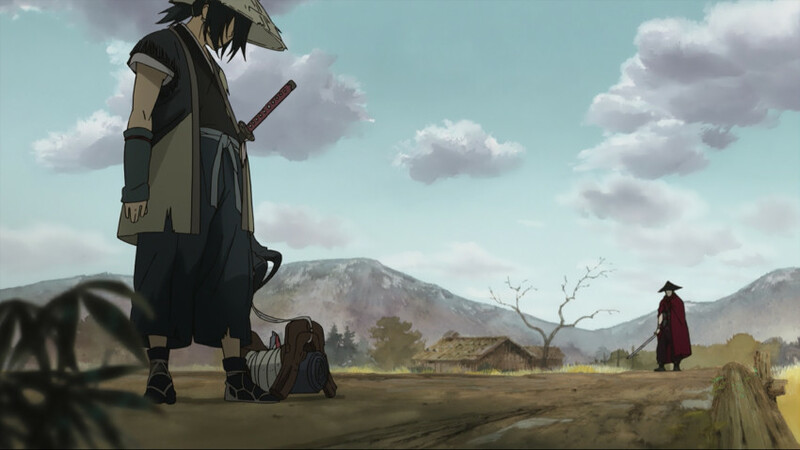 Anime fans should also take note of the one representative title in this year’s season, Sword of the Stranger (2007), directed by Masahiro Ando at the Bones animation studio that produced Fullmetal Alchemist and Cowboy Bebop. It is a historical drama that follows the adventures of a young warrior boy and his dog as they flee a group of Chinese assassins. Though Ando’s film did receive a UK release shortly after it was made, as far as mainstream recognition went, it was rather overshadowed by the overwhelming critical focus on the works of Studio Ghibli of the time. It has subsequently garnered a sizeable cult following since its original release and its inclusion to mark its tenth anniversary provides a wonderful opportunity to catch it on the big screen, just in case you want to grab the just-released Blu-ray. The Japan Foundation Tour details can be found at the festival website.